Roella Oloro is a British composer and multi-instrumentalist of Nigerian and Jamaican descent. Her early musical home was in the Pentecostal Church playing piano in regional gospel choirs around south west England, teaching her to play piano by ear alongside her classical training in piano, clarinet, alto saxophone and bass guitar. She became inspired by jazz in her early teens after hearing the virtuosic brilliance of Oscar Peterson. 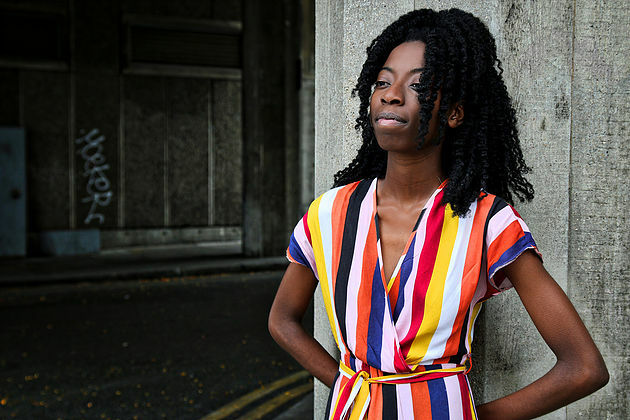 She now studies at Trinity Laban and is a member of Tomorrow’s Warriors Female Frontline, which has seen her perform throughout the London jazz scene, as well as regularly attending jams at Ronnie Scott’s, The Haggerston, Troy Bar and Steamdown amongothers. Having spent the summer at Berklee College of Music under the mentorship of renowned drummer Terri Lyne-Carrington, she was offered a full scholarship to study there. As a composer she has written for a variety of different ensembles, including a piece for big band that was played at the Royal Albert Hall. She officially formed her current quintet soon after returning to the UK from the Berklee summer School. Their first gig was the London Jazz Festival in November playing all of Roella's original music. Since then the quintet have continued to gig their set at popular venues in London such as 'Ghostnotes'in Pechkam, Mau Mau bar under the record label Jazzrefreshed and The Royal Albert under events promoters ,'Good Evening at the Royal Albert'.